I received these two new earphones a few weeks ago and I must say I have been pleasantly surprised by their overall performance. 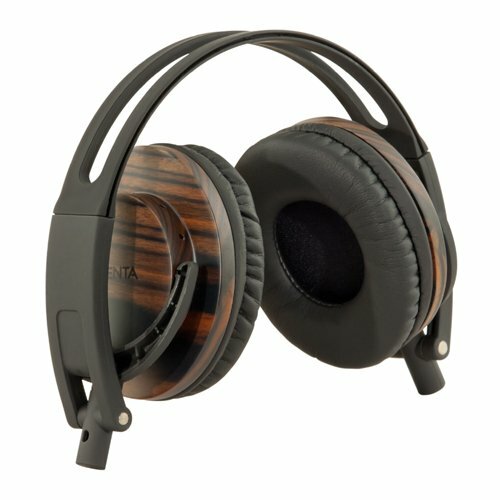 I work in a recording studio where I use professional grade headphones all day long for critical monitoring so I’m not going to say that the $60 Senta 40’s are as good as it gets, but I will say they are incredibly musical for the price and they do outperform most competitively priced headphones. The Senta 9 in-ear sound-isolating earbudsare even more impressive for the price because in my listening tests, they outperformed several competing models at close to ten times the cost! 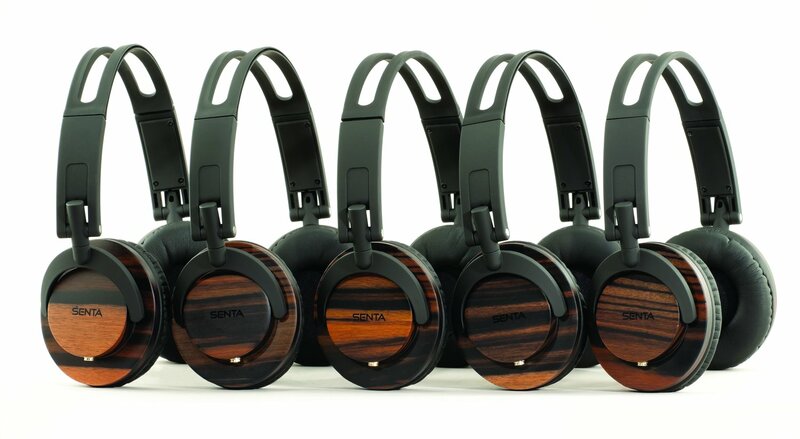 The Senta-40’s are beautiful to look at with their unique wooden housings – with their real wood grain,no two units will have an identical appearance. Their removable 4 foot cord is a plus in that it can be easily replaced but I will say that with traditional over-the-ear headphones, I prefer the type of cord that connects to only one earpiece rather than dividing to connect to each side. That’s more of an issue in the studio where I take them on and off a hundred times a day…for typical home use it’s probably a non-issue. I’ll also say that in comparing them to my favorite pro phones, the 40’s lack a bit of midrange and high end clarity in favor of a mellower, bassier sound; but when I drove them with my IPOD and various other portable devices, I found the Senta 40’s actually outperformed some of those expensive phones because the Sentas were more easily driven by the portable devices.I would describe the sound as slightly warm (mellow) but pleasing and I found myself cruising through my IPOD music-playlists to hear how certain songs sounded on them. The 40’s are comfortable and although they only come with a 1/8″ mini-plug (no 1/4″ adapter is provided), 1/4″ adapters are easy to find if you need one. There is a convenient carry pouch…they also feature a folding design similar to the Sony MDR-7506 which makes them easy to stow, store and transport. There is a response graph on C.Crane’s site which shows a slightly elevated bass and a slightly rolled off treble response…this is exactly how they sounded to me; again, not as accurate as several more expensive phones but entirely musical and not atypical in this price range. 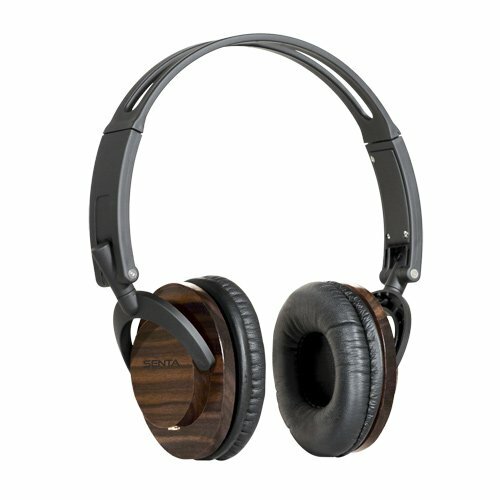 Overall the Senta 40’s are totally musical and at their price point, I consider them a bargain. Well…if I liked the Senta 40’s, I’ve gotta say I LOVE the Senta 9’s. 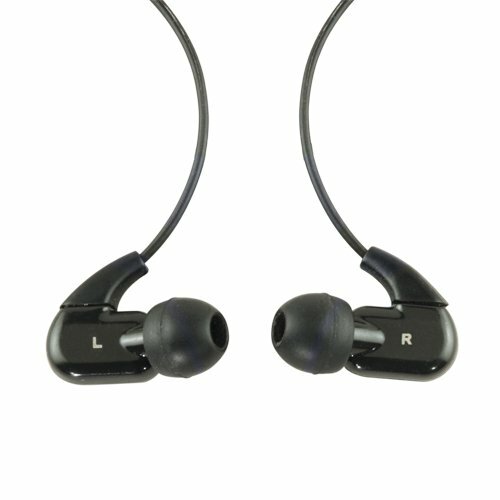 These are sound-isolating, in-ear buds and represent an extra-ordinary value for the price. One of the beauties of sound-isolating earbuds is that you don’t have to listen loudly to mask ambient noise. I use my earbuds while mowing the lawn and the experience of blocking out the mower noise and hearing music, in all its detail at normal volume, is something you simply have to experience. They are also excellent in airplanes but I will caution you not to use them if jogging on the street because you won’t hear traffic around you. The same is actually true of all earphones/buds but sound-isolating ones even more so for obvious reasons. In-the-ear sound isolating earbuds have traditionally been difficult to become accustomed to. The problem is that we all have different size and shape ears so obtaining a tight seal (essential to both full sound isolation and full audio response) is tricky. The biggest complaint you will hear is that such earbuds have “no bass”. Well, when someone says that, it means he or she hasn’t got the proper fit necessary for a complete seal…that’s why such buds come with several different kinds of tips. I went through that when I got my first set of such buds…they happened to be $300 audiophile models from a well-known manufacturer. After days of fiddling, I finally found the size that fit me properly and I finally heard the proper bass response. But even though that set came with no less than 8 different sets of fittings (three sizes in two different materials, a 7th of a totally different ridged design and an 8th made of foam which you compress then insert into the ear allowing them to expand…like ear plugs), I never was able to get them to stay seated while I was active, such as working out or mowing the lawn. Plus they still had a rather thin sound overall…they’ve been sitting in the drawer for two years. Imagine my surprise when I popped the Senta 9’s (which come with three sets of ear pieces) into my ears right out of the box and they sealed perfectly right away and sounded FULL and POWERFUL. I’ve never needed to try the other two sizes of ear plugs with them. The sound isolation is superb and I love the way they sound with my IPOD and other portable devices. I must admit, I don’t route the cable up and over my ears as recommended…I can’t seem to get the hang of that so they will stay in place when I’m active, but I’ve had no problem just using them like any other earbuds with the cords hanging straight down…they don’t loosen or fall out even while working strenuously. Flexible ear hooks are also provided for users who prefer them. There is also a cool cord-mounted mute button…very convenient. So how do they sound? In a word…great! Somewhat similarly to the Senta 40’s above, the Senta 9’s deliver plenty of bass punch and overall warmth. My IPOD drives them easily and again I’ve got to say that you have to experience the detail you can hear with sound isolating earbuds…it is like being plugged directly into the sound. To be sure, not everyone likes the feeling of sound isolation, but unless you have to be aware of sounds around you they can actually save your hearing because unlike regular earbuds which let outside noises in you don’t have to crank your music to super high volume to be heard over that noise…I have to repeat, it’s an amazing experience the first time you hear it. One oddity is the frequency response graph of the Senta 9’s on C.Crane’s website. Unlike the graph for the Senta 40’s, the graph for the Senta 9’s does NOT look anything like they sounded…it shows a huge bass roll-off and treble boost which would sound pretty tinny and screechy…my guess is the graph was somehow measured without the proper seal and ear-canal dimension to achieve proper response from sound-isolating earbuds…in fact, that graph looks exactly like any such bud’s sound when you do not have a proper fit. So ignore the graph…these buds feature a BIG full sound!